Have you ever started your to-do list on a napkin or a piece of paper that is close to you? What happened after? Did it get lost? The Master List was created so you could sit down during your weekly planning time and dump all the things you have to do. Drop all the clutter in your head and leave it on the master list. Once everything is out of your head, you will be able to relax and make educated choices about priorities. I spent a year traveling about 3 weeks out of the month and I had to plan my upcoming days to make sure I packed everything I needed according to the weather. This travel list allows you to enter the location where you will be traveling to, each day has a space to write down the expected temperature, date and your planned outfit. At the bottom you can also find spaces to write down all the items in your suit case to make sure you keep track of everything, including easily forgotten chargers! This sheet was created to plan your day. 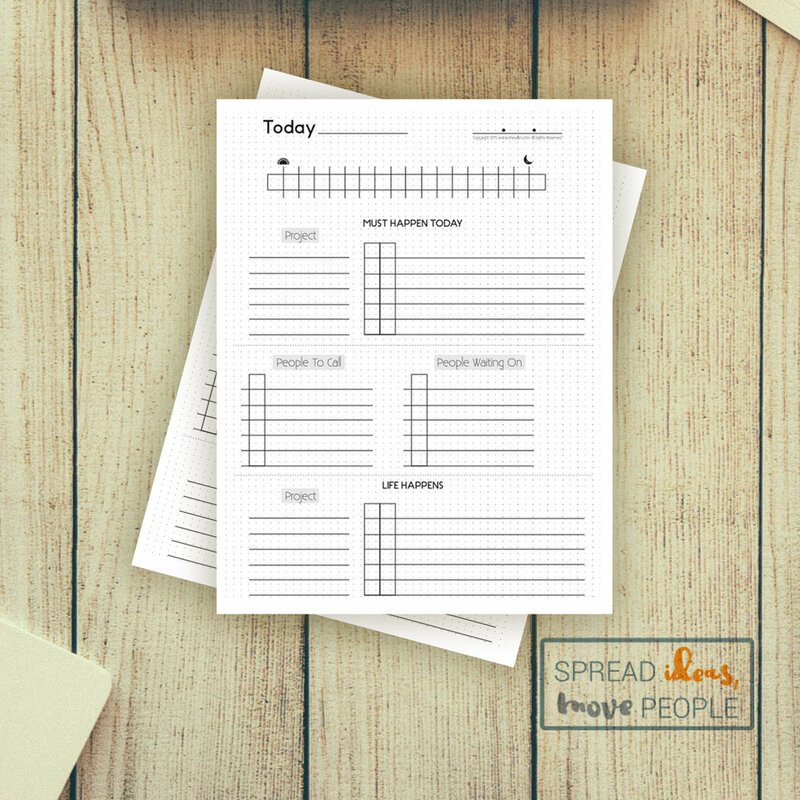 This daily sheet allows you to break down your tasks by the hour. • Today's Timeline - Map out your day by the hour, from the time you wake up, to the time you go to sleep. Take control of your time again. You can draw, doodle, color, etc. Make it fun! • Must Happen Today - For busy people who handle multiple projects at a time, you have must-dos for each project. This section allows you to see your tasks by project. The squares are so you can prioritize each task and tackle them with purpose. • People To Call & People Waiting On - We are in constant communication with one another. Here is where you can take care of who you need to talk to today and who you're waiting to hear back from. Simple. • Life Happens - Well, as they say, things will come up. Write them down here so you don't forget.